The two men trudging across the sand toward the weather bureau life saving station had a lightness in their step, albeit offset by the tractionless footing. They had spent the noon time taking lunch and warming themselves around the stove at their makeshift campsite on the sands of coastal North Carolina. Earlier that morning, Wilbur and Orville Wright had just executed the first self-powered, sustained, heavier than air flights of a man carrying airplane in the history of the world. Now they were out in the wind driven cold of December 17, 1903 again, this time to send a telegram back to their home in Dayton, Ohio. As was prearranged with their family in Dayton, they were telegraphing word of their four successful flights back to their home in Ohio where their brother Lorin would carry the news to the local newpaper. They wanted to have the announcement of their success go out to the world from Dayton, Ohio. The Wright brothers had been newspapermen themselves and they knew that if they chose to draw a crowd in order to hold court before a gaggle of eager newspaper reporters all they had to do was to telegraph news of their success directly to the world from Kitty Hawk, North Carolina. The remoteness of Kitty Hawk would have been no obstacle to East Coast reporters in search of a sensational story. As it was, even though they did have their press release sent out from Dayton, before they broke camp at Kitty Hawk two days later, they were receiving telegrams of response from news outlets around the country at the weather service telegraph terminal. One magazine was offering $500 for an exclusive story. The Wright brothers were not interested in holding court or drawing attention to themselves by personally announcing their success. They were interested in drawing attention to their hometown of Dayton, Ohio. Drawing attention to Dayton, Ohio would be a tribute to their deep ancestral heritage which sprang from that city. Their ancestors were settled in Cincinnati by 1790 and were the first settlers to arrive at Dayton in 1796. 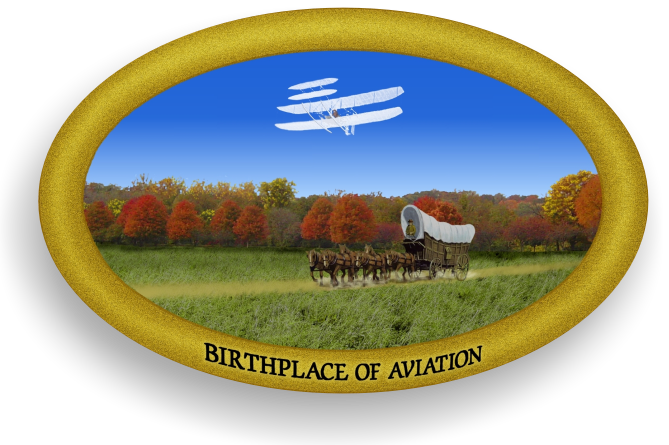 This genealogical chronicle is the story of the Ohio pioneer ancestors of the Wright brothers, and how the influence of their pioneering spirit served as the backdrop to the invention of the airplane. 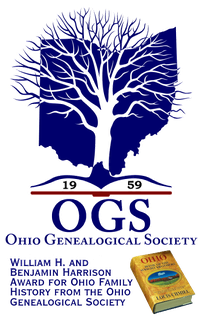 The Wright ancestral roots in early Ohio were drawn from four separate families: the Wrights, the Van Cleves, the Benhams, and the Reeders. These families were on the ground en mass in the earliest days of the creation of the state of Ohio. Two other major families in their ancestry, the Koerners and Frys, came to Indiana in the 1820s and 1830s. The legacies of the Ohio families in their background cast a long shadow in the world in which the Wright brothers grew up in Dayton. Ohio. In their early years Wilbur and Orville shared the town of Dayton with ancestors who had founded the town. During the time that the Wrights grew up in Ohio, it was in its heyday as the home of presidents. From 1868 Ohioans ascended to the presidency in four consecutive elections. On to the end of the century six of eight elections had been won by Ohioans. This was the setting in Ohio in which Wilbur and Orville Wright grew up. 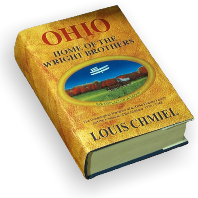 Between their Ohio pioneer roots and the prominence of Ohioans on the national stage, the Wright brothers gained a deep identity as Ohioans. They were in fact not only from Ohio; the Wrights were dyed in the wool Ohioans.